The club is pleased to announced our revised season-ticket and matchday admission pricing for the 2017/18 season in the National League, with an early-bird discount ending on Friday 16th June. Tickets go on sale to personal callers to the club office from Monday, while adult season tickets can be purchased online now. 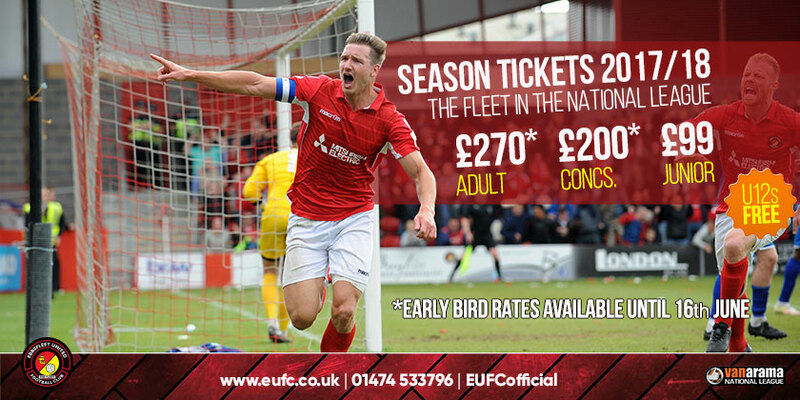 With 23 home matches to come in the National League (that’s two more than in 2016/17), we are offering adult earlybird season tickets at £270 (a saving of £52 across the whole season) and concessions at £200. The prices will revert to £280 and £210 respectively from Monday 19th June. Junior season tickets (12-16 years of age) are priced at £99 for the season. We have taken careful consideration of matchday admission prices at this level in our area and our adult gate price will be the lowest of any National League club in Kent, with a ticket now costing £14 on the day, concessions £11 and juniors £6. Under 12s will continue to enjoy FREE admission with a paying adult. 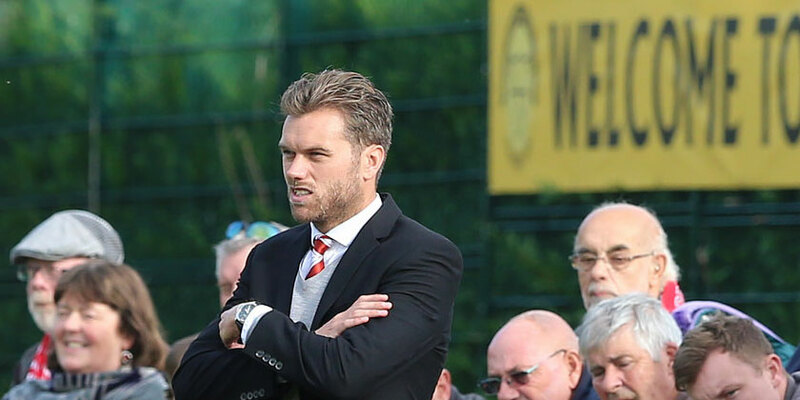 Vice Chairman Peter Varney told FleetOnline, “I believe these prices offer exceptional value for money and of course there are now 23 home matches this season. Our match day prices will be the lowest of any National League team in Kent and are central to our plan to continue to build our supporter base. With more and more houses being built in Ebbsfleet Garden City each week we are confident that working closely with the major developers our support will continue to expand at the pace we have seen in 2017. Once the seats in the Main Stand have been physically blocked and numbered during the close season, the club will also be offering a £23 upgrade (working out at £1 per game) to season-ticket holders to reserve a specific seat. We will issue further details about the impending Plough End redevelopment and its impact on matchday capacity as and when information can be made public. 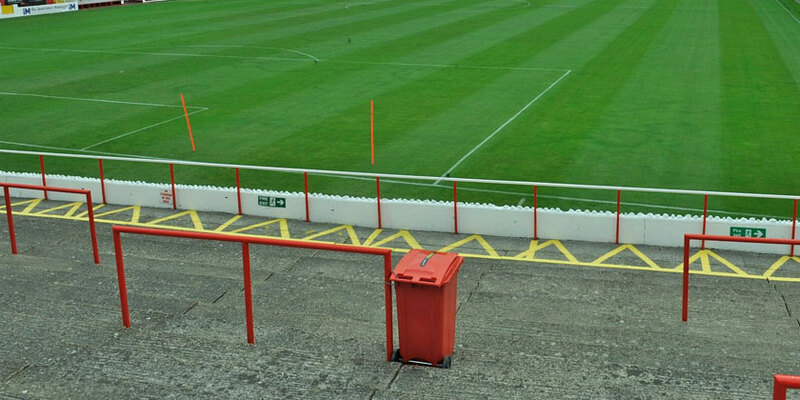 A season car-park ticket will also continue to be available, this season costing £95+VAT. Details about purchase and a full list of these prices can be found on our Ticketing page here. Adult season tickets may be purchased online but where proof of ID/age is needed (concessions, juniors), you will need to purchase over the phone, in person at the club office or by downloading our application form and sending it in. We are issuing new season-ticket cards this summer so you are free to keep your old ones as a memento !